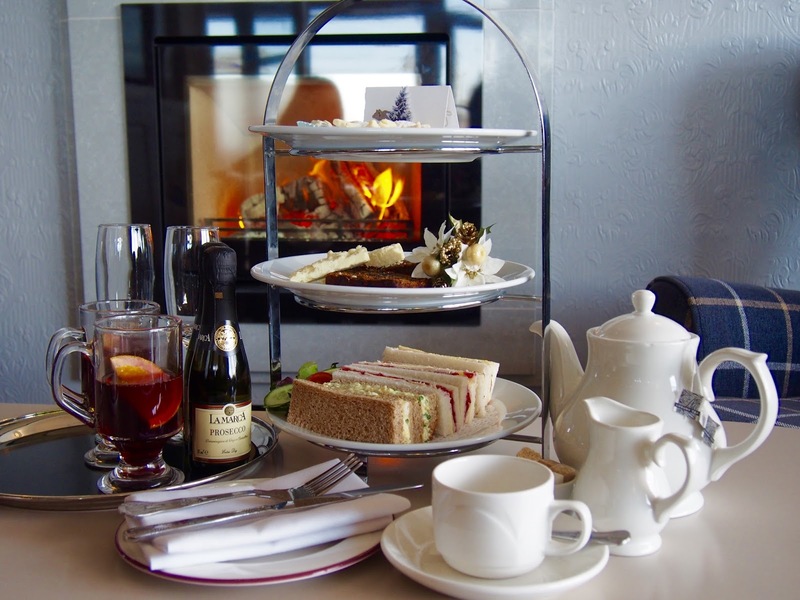 Festive Afternoon Tea at White Lodge Hotel, Filey. I’m a festive afternoon tea virgin. There. I said it. Shockingly, I had yet to experience and or feature a festive afternoon tea up until this point. I know. Who am I!? That said, this was definitely an amazing first time. I was recently invited to sample their Sunday Lunch and if that was anything to go by this was going to be one to remember and without a doubt would not be my last festive afternoon tea. 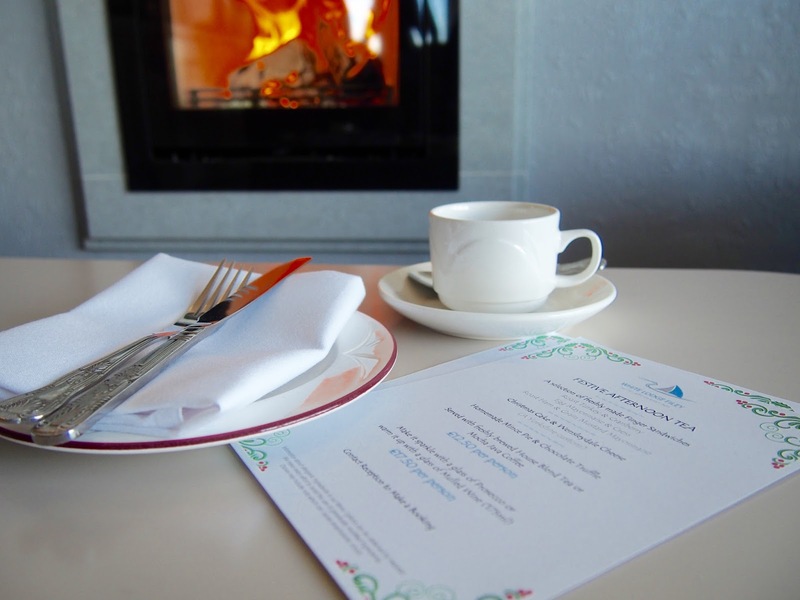 Now, the lodge has an amazing conservatory style restaurant, which, with its garden and sea views is a real selling point to dining at the lodge on a normal day. However, being the cold, extremely windy day it was, we couldn’t have been happier to have been seated in the bar area in front of the fire. It’s as if they read our minds. 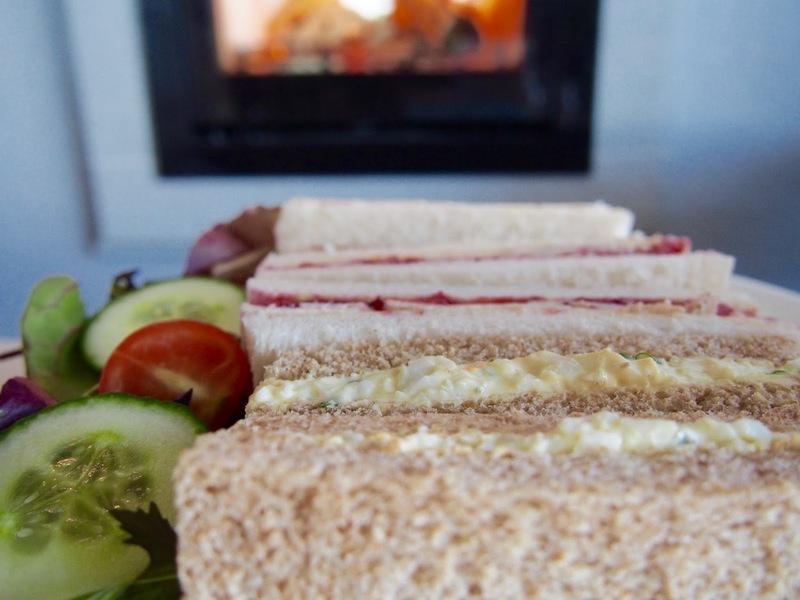 A selection of sandwiches – Roast Turkey and Cranberry, Egg Mayonnaise and Cress, Roast Ham and Grain Mustard Mayonnaise. 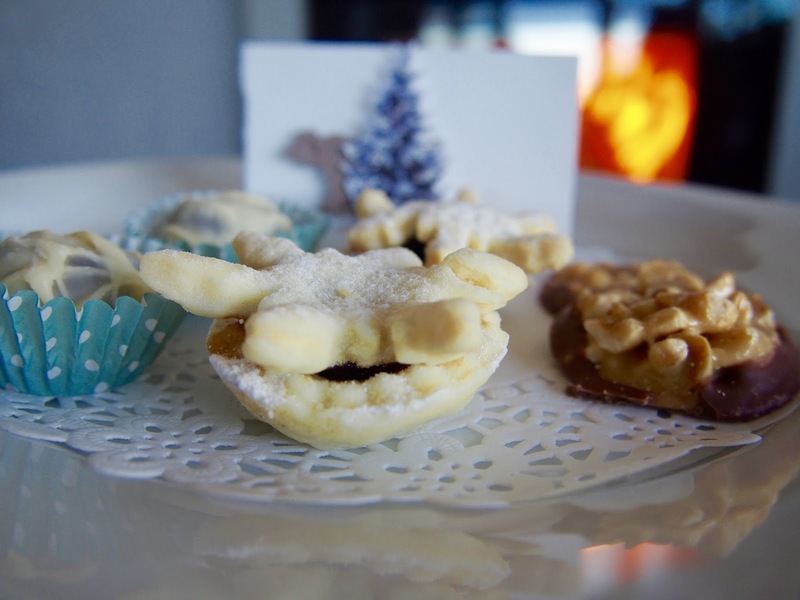 Sweet treats – A homemade mince pie, chocolate truffle, and a peanut cup. All came perfectly made in soldier form and were extremely yummy. The roast ham was by far my favourite due to it being ‘real’ ham, rather than the wafer rubbish you can sometimes get. 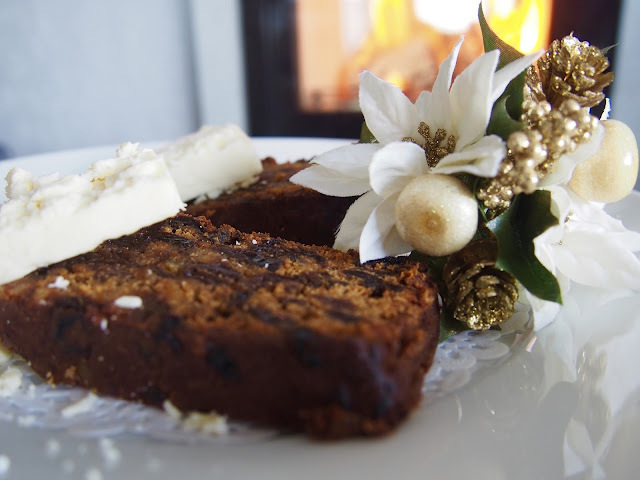 Where normally would sit a warm homemade scone, instead hosted a generous slice of Christmas Cake, accompanied by some Wensleydale cheese. Controversial comment: Christmas cake just isn’t my thing. This isn’t a reflection purely on White Lodge’s cake, as it was eaten and enjoyed, especially with the cheese, which very much pleased the palette. It’s just not a cake of choice. Was my favourite tier of them all. The sweet treats. Now, I’ll be honest, as that’s what we’re all here for right, but, I was slightly unimpressed with the offerings. I couldn’t help but feel a bit sad that not only was the mince pie not full size but also that it looked like not much thought had gone into the treats themselves. The point of offering mini treats is surely so that there’s a better selection? I would have said that there definitely could have been at least two more treats offered. But hey, that’s just my personal opinion. 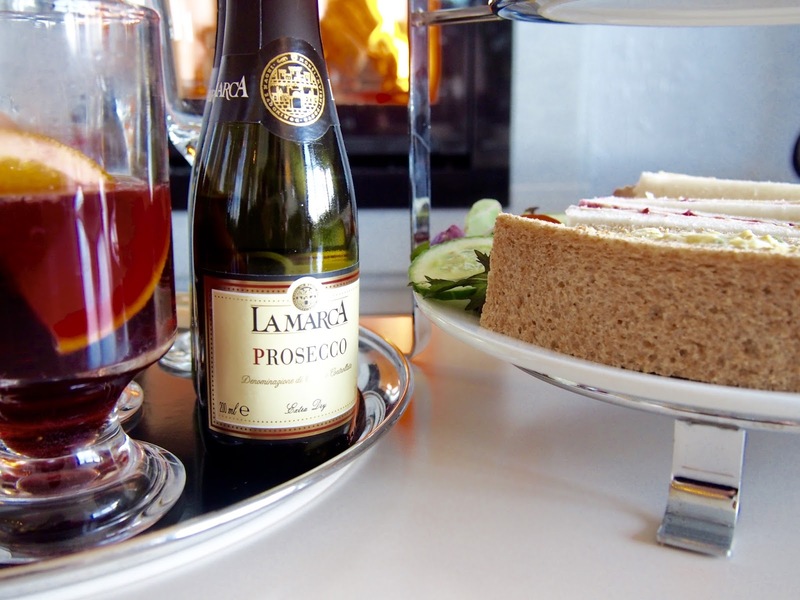 White Lodge’s festive afternoon tea is priced at £12.50pp. Which can be served with freshly brewed House Of Blend Tea or Mocha Java Coffee. Though if you’re feeling something a bit stronger or more festive, you have the choice to upgrade to a glass of Prosecco or Mulled wine for an extra £5. As yummy and enjoyable as this festive afternoon tea was, plus being in a lovely setting, my only comment would be that the sweet tier could do with more thought. That being said, it’s still somewhere I’d very much recommend.